Edamame. I know I’ve written about it before, but I can’t get enough! It really is a superfood. Low calorie, low fat, high protein, and high fiber literally make it a perfect food. Especially for those trying to increase healthy foods in their diet, or those losing weight, or those with allergies. One serving has 120 calories, 2.5 grams of fat, 9 grams of fiber, and 11 grams of protein. What a perfect little bean! A recent article made me think more about how I could increase its use in my kitchen. 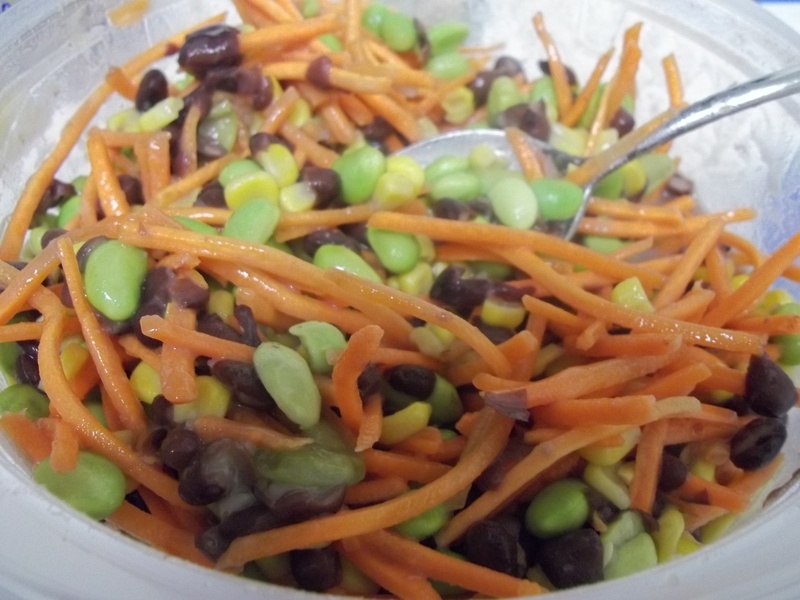 So, I made edamame salad to round out my lunches last week. 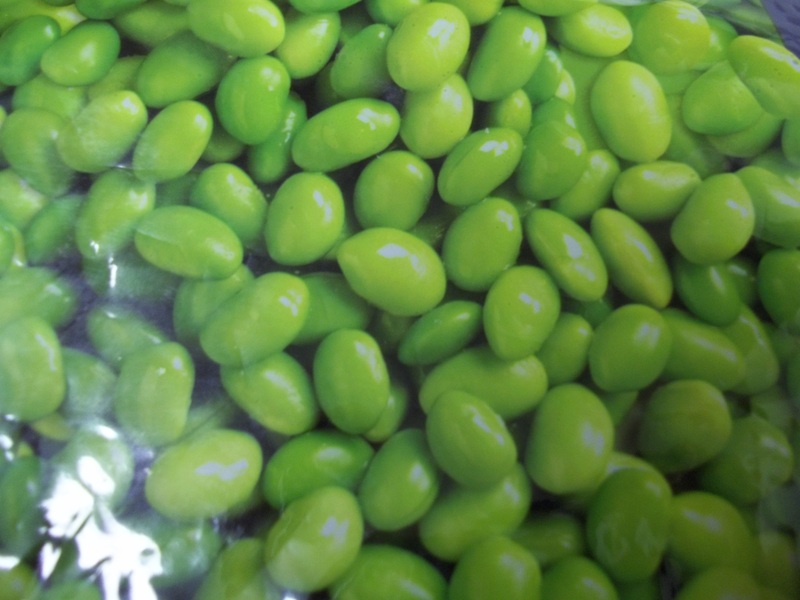 This edamame salad can be completely made in the microwave in a tupperware container! 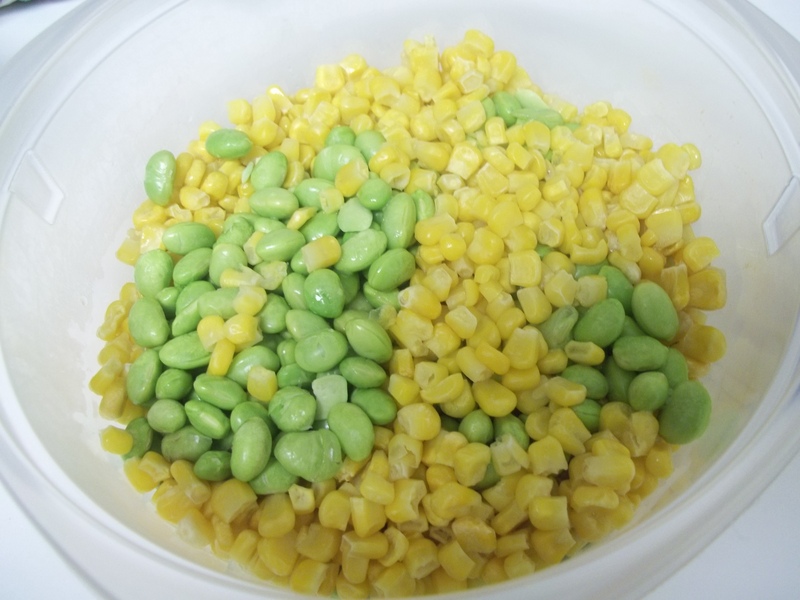 In the tupperware, pour one half of a bag of frozen shelled edamame, one half of a bag of frozen corn, and microwave for about 2-3 minutes. Then add carrot matchsticks (you can get them in a bag in the produce section, precut). To dress the salad, add the juice of one lime, about 2 tbsp. agave nectar, 4 tbsp. cider vinegar, 4 tbsp. white wine vinegar, sprinkle of salt, and one tsp. hot mustard. Put the lid on the tupperware, shake, and serve! Note: I also added a can of drained black beans for extra protein and fiber, but they did make the texture a little mushier than I originally wanted it. Good nutrition, but I think it would taste better without the beans.